This is the final day of our not-quite-quarterly bleg. Definitely, a good time was had by all. I haven’t counted how many people tipped the cup; I’m relying on my impression of how many more there were this time than in the past, and that impression comes from the numbers of thank-you notes I’ve written. If you haven’t yet received yours, not to worry. I’m plodding along, have arrived at the beginning of Day Five’s donors. The theme of this bleg has been work, specifically the notion in the beginning of Genesis that work was a necessary evil visited on mankind for Adam’s having committed the sin of hubris. So I’ve been pondering the idea of work, of any labor required to sustain oneself. 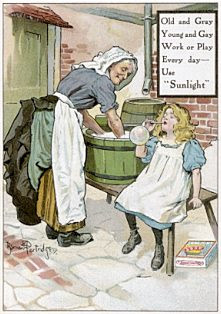 The Puritans saw work as “godly”, and leisure as, at the very least, the occasion of sin. In our American culture, we often trace back our tendency to work too much or to constantly trying to improve ourselves as having begun there, on Plymouth Rock. “Our culture” is meant to indicate the middle class culture, often called “America’s backbone”. 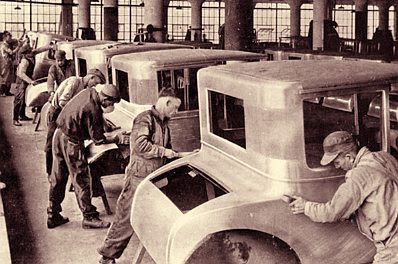 In contrast to the highest reaches of the upper class and in the bottom with the underclass, both of whom view work as something to be done by others, the middle class sees work as having inherent value. To us, work is creative and self-renewing. It is the middle class that is most in jeopardy with the approach of the economic meltdown. Those who have valued work the most will have the fewest jobs. It is predicted that the middle class, that group which made up a great deal of America’s exceptionalism, will disappear under a tidal wave of governmental bureaucratic incompetence and fraud. No one is predicting the future with any certainty. Or if they are, those prognosticators have something to sell. Trust only the experts who are humble enough to say, “This is new. We don’t know”. They may not be able to give you much information, but they’ve retained a valuable commodity: truth. Somewhere along the way, beginning perhaps in late 2006, Gates of Vienna ceased to be a blog run by two individuals. Instead it’s become a group endeavor with many, many people providing input. Besides our analysts, writers, video people, translators, and donors, there is a web of information which has slowly grown to include dozens of people on at least three continents, with beginnings on a fourth. In the course of building our partnerships, we’ve seen the folly of the old MSM paradigm of “breaking news” or “exclusives”. The aggregate wisdom lies not it presenting information first, but in preparing a foundation for thinking about what that information means initially and what consequences it may portend. Without this foundation, news is merely distracting entertainment. There is no ‘there’ there because the next day’s all-important, exclusive story is waiting in the wings. The race to get to it first is often unseemly; in the long run, it’s also unnecessary. Sometimes it turns out to be a matter of the first facts being dead wrong. And sometimes people’s lives are damaged by the prurient rush to know everything. Perhaps the best example of this kind of “reportage” is the rude audacity of the writer who moved in next door to the Sarah Palin family so he could be the tell-all author of a best-seller on the Palins. Call us the slow news. The after-action reports. The analytic attitude. One thing is certain in all of this: it is a labor of love. Thanks to everyone who came by. We’ll have a short wrap-up tomorrow. With this kind of grim determination, any subject is grist for the mill. Here’s one. It used to be straightforward before feminism made it all so dreary, but even this utilitarian piece of clothing has been reduced to an object of narrow-eyed suspicion. Aprons are making a comeback. This fact is giving the feminists a case of the jitters, even the ones who are defensively attracted to them. Sheesh. With these women everything has to be so drearily, predictably fraught. And these are the very beings who make fun of fundamentalist women for being so doctrinaire. 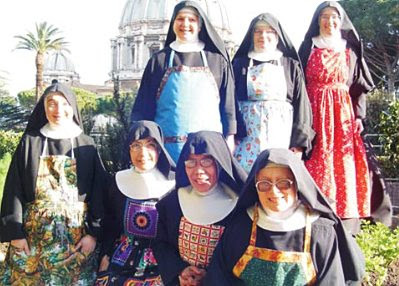 I swan, is there is any group on God’s green earth with more doctrines and orthodoxies and splintered groups who don’t talk to one another than the women who hole up in feminist ghettoes and worry about the strings attached to wearing aprons? …An apron that isn’t meant to be stained? That’s just one of the contradictions surrounding the garments of late. So is the quaint nostalgia among young women for an article of clothing that once evoked domestic submission. The embrace of such a potent symbol aside, what appalls many feminist critics about the resurgence of aprons are the tarty, tight varieties that are cropping up on some websites, conjuring visions of women as housewives in heels, waiting with hubby’s scotch in hand in an immaculate home. “These aprons are reinforcing ideas that domestic labour like cooking is women’s work and there’s nothing ironic or progressive about unpaid work, even if we want to wrap it up in a pretty decoration,” says Tarrant, who also blogs for Ms. Magazine. “Strangulation?” Imagine that. And all this time I thought the point of an apron was to keep the spaghetti sauce from ruining your Prada outfit… live and learn. 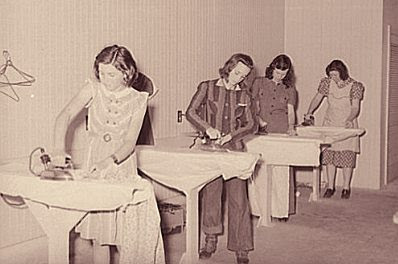 …Painter theorized that the return of such a retrograde view of femininity, or at least its trappings (not just aprons but cupcakes, casseroles and canning, the three C’s of good housekeeping) has to do with the current economic troubles. She compared it to the postwar return of women to the housewife role after making up a large portion of the workforce during World War II. At the Smithsonian site, there is a photo of this young woman in her “Eisenhower era” kitchen, posed wearing her (I presume “Eisenhower era”) retro apron. Not that she’s longing for a past she never knew, mind you. No yearning in this young woman; her psyche couldn’t bear the ambiguity. As I said: easy peasy. When your heart is a house divided between being cool and longing for authenticity, choose irony. It works every time. Argentina, Australia, Canada, Denmark, and Sweden. I’m running more than a day behind in my thank you notes so I hope I didn’t forget anyone. From the U.S., Florida once more, Georgia, Maryland, Michigan (though originally from Kentucky), New Hampshire, North Dakota, Oregon, and Tennessee. For some reason I have an affinity for Wales. I don’t have any Welsh ancestors as far as I know, but I did spend some time in North Wales as youth, and learned to appreciate the Welsh landscape and its inhabitants. Another reason for my fondness for Wales may be the large contingent of Welsh immigrants who settled in our area in the 19th century. 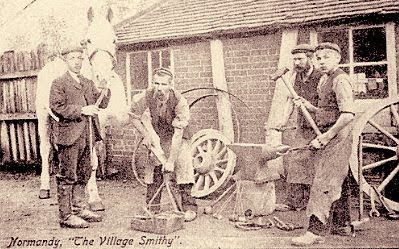 They were brought in to mine the slate, because nobody in the world is more expert in the art of mining than the Welsh. Their language is gone, except for the Welsh inscriptions on the tombstones in some of the local churchyards, but people remember their heritage. Look in our slim phone book, and you will find pages filled with the names “Davis” and “Williams” that attest to the presence of the Welsh in our history. Another local instance of Welsh influence may be found at the Crater Battlefield Park in Petersburg, which commemorates a significant moment during the Siege of Petersburg. Almost 146 years ago, on July 30, 1864, Confederate troops along the defenses woke to a mighty explosion: Union sappers had tunneled under the earthworks and exploded a huge stock of gunpowder. An enormous smoking hole suddenly appeared in one of the earthen walls, opening up the Confederate lines to a Union assault. The Yankees, however, failed to co-ordinate their attack effectively, and the Confederates gathered their forces and mounted a counter-charge at the Crater that plugged the hole in the line. My great-great-grand-uncle, Brigadier General David Weisiger, was one of the commanders at the Crater that day. He is buried in the cemetery in Petersburg, and the inscription in the nearby church tells visitors that “he led the Crater charge”. Despite the devastation at the Crater, the Confederate defenses held. For another eight months the residents of Petersburg endured privation, hunger, and bombardment. Then, in the spring of 1865, when it became obvious that the city could be held no longer, General Lee abandoned both Petersburg and Richmond. The Army of Northern Virginia retreated westwards, harried by Grant’s soldiers all the way, until it was surrounded at Appomattox. The rest, as they say, is history. The Crater and its surrounding earthworks remain as a memorial to those grim events of a century and a half ago. What does all this have to do with Wales? The long tunnel under the Confederate earthworks, as well as the chamber at the end that was filled with kegs of gunpowder, were dug by Welsh miners. 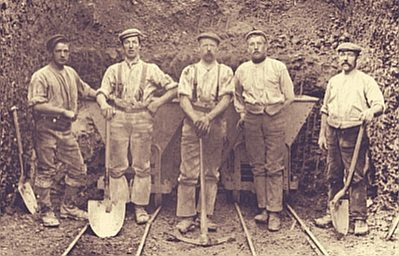 They had been brought in from Pennsylvania by the Union for this specific task, to take advantage of their unparalleled expertise in mining. The theme of this fundraiser is “labor”. 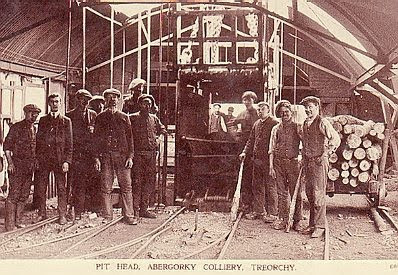 Our labor here can hardly be compared with that of the coal miners who toiled and died in the stifling darkness of the coal mines of Wales. But still — the work must go on. Today’s American donors hail from California (Malibu! ), Florida, Indiana, Kentucky, Long Island, Massachusetts, New Jersey, Pennsylvania, the Wretched Hive of Scum and Villainy (Northern Virginia), and Washington D.C.
From the Near Abroad we have Canada (Alberta), and from the Far Abroad, Australia (twice), Austria, Denmark, the Netherlands, Spain, and the U.K.
As a matter of interest, the Danish donor lives in Odense, on the island of Fynen. Regular readers may remember that Odense is the home of the Vollsmose neighborhood, one of the most notorious culturally enriched suburbs in Denmark. Its residents hold the Danish authorities — especially the police — in contempt. It is openly governed by sharia, and is reportedly well-armed. Update from Dymphna: First, all the places today’s donors abide: Australia, Belgium, Brazil, Canada, Denmark, Ireland, Israel, and Germany. In the States, they live in California, Florida, Illinois, Kentucky, Oklahoma and, of course, Texas. I noticed among all these days of labor in our bleg, there didn’t seem to be any woman’s work. This is pre-P.C. we’re talking about. In fact, it’s downright B.C. if we’re considering Genesis. So man was going to have to work by the sweat of his brow and woman would have children, right? 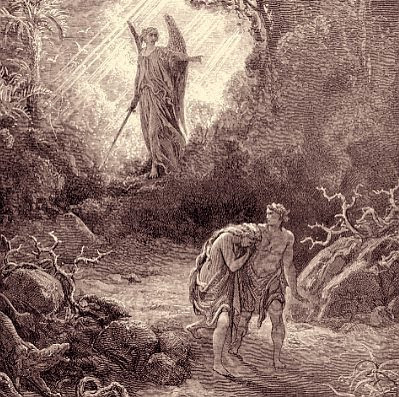 What no one mentioned was that all those children, not to mention Adam, were going to need clothing. And someone was going to have to make this apparel, this umm…garb. Guess who that would be? Well, we know Adam was out chopping down that damnable tree (and muttering under his breath) and then he had to make some kind of shelter out of it for Eve and his progeny. So eventually — give or take a few thousand years — it fell to woman to gather the flax and weave the linen cloth. That, in turn, had to be made into garments (some for rending whilst gnashing teeth. I’ll bet they used old tunics for that. If they were smart they did). And the garments, after having been worn for a few months, would need to be washed. Eventually, there would be ironing. And tucks and pinch pleats. But first came rivers and rocks with bushes near by on which to drape the wet clothing. Then came washtubs and scrub boards with clothes lines and pins. By then they’d invented Monday, so obviously I’m getting ahead of myself. Maybe testosterone makes them blind, but I’ve never met a man who could really see stains on clothing, much less remove them. Piles of dirty laundry make him inherently nervous. There’s nothing sexist about this; women have just been thinking about clothes much longer than men have. Women care about matching things. She has an inborn desire to “coordinate” her attire, and to know whether, say, a rust-colored blouse goes with a plum skirt. Mostly men care about not being stared at, though some have been led astray by the lust for power ties. Early on, women figured out the point of clothing: it’s all about allure. Veils and such. Some women were even subtle enough to know that less is more. Thus, mothers advised daughters to “leave a little something to the imagination”. Smart daughters still do. But in the end, all of that stuff needs maintenance. In B.C., you had to make the material, create the garment, wash it, store it, repair it, and — in some cases — put you hand to your cheek as you stared at a terrible wardrobe error and say, “what was I thinking? (In reality, you weren’t thinking). The same went for one’s husband’s and children’s clothing but in their case, getting rid of “old” stuff was, and is, more complicated: how do you wheedle them out of something that is more holes than cloth? How do you argue with “but it feels so nice”? Hint: telling them it looks awful won’t help. Not when it comes to their “comfortable” clothing. Update from the Baron: Well, I’ll delve into the third day of our “quarterly” fundraiser and see what I can spin out of what I find there. The generosity of our readers is staggering — thanks to everyone for their continuing support. It’s especially gratifying right now, because I know some of the people who have chipped in can’t really afford it. Dymphna and I appreciate the significance of your gift — it’s one of the things that makes this job worth doing. Now for the geographical breakdown. We’re getting so many donations from Down Under, it makes me wonder if the financial crisis has passed Australia by. New South Wales, Sydney, Brisbane, and Melbourne are some of the places I remember noticing. The UK, France, Denmark, and Israel were also represented today. Contributors in the USA came from Oklahoma, Baja Oklahoma (a.k.a. Texas), Illinois (again), New York State, Virginia, Florida, Ohio, and California — both L.A. and Frisco. I probably missed some in there, so bug me if you want your state called. Posting the other day about the nature of this job made me pay more attention to how I spend my time. I’ve noticed that a lot of it is taken up with the arranging, editing, and posting of translations. The workflow can be quite convoluted. First comes a tip about a video or article that could be usefully translated into English. The tipster frequently doesn’t have time to do the translation himself, so I contact one of our usual translators to see if he or she can help. Most of the time the first call is a success; if not, I have to shop it around until I find someone who has the time. Then, when the translation is returned to me, it goes through a final editing, and may require the preparation of an illustration before posting. If the translation is for video subtitling, that adds a layer of complexity to the job. A correctly-formatted subtitle file has to be created, and at the same time I roust Vlad out of his crypt and set him to work prepping the video. Then he imports the file and does his magic with his subtitler and YouTube, and we both post the result. Occasionally other translations are required — brochures or press releases, for example. The process is the same, except that there is no visible result at Gates of Vienna. No money is involved in any of this, so the workflow can be tricky. It depends on dedicated and good-natured volunteers who have day jobs — some of them even have lives, can you imagine? — and there’s no supervisor who can order his underlings to carry out the required tasks. It’s a non-hierarchical endeavor, organized cooperatively in a distributed horizontal network. The above is just a sample of the quotidian activities here behind the Gates. Thanks to your generosity, the delving and spinning will be able to continue. I’ll admit it. Gates of Vienna is all my fault. If I hadn’t talked the Baron into reading blogs, if only I’d kept to reading books and oh, maybe Drudge for the news… but no, I had to open my big mouth. And because the Baron was a smart husband, he listened to his wife, just like Adam did. And now here we are. But in the very beginning, when we were simply commenting (my nic was something or other about being a mom, since that’s where my time and energy went), it became obvious we were taking up too much bandwidth at the Belmont Club. This happened to others, too, and they spun off to create their own sites. The Baron was working in Richmond then. My case of the vapors hadn’t developed to the extent it has in the last few years and I posted a lot. As luck would have it, his job had “down” periods while he was waiting for complex programs to run through their tests. This allowed him to post a bit during the week and to catch up on the weekends. Back in the beginning there was no Europe on our horizon, other than being aware of the problems created by a large, aggressive Muslim immigrant population. We were also quite aware of Little Green Footballs. The Baron liked to follow Charles’ breaking news items. LGF often had the first inklings of information. I liked Charles’ comment sections then, too. So much water under the bridge. Now sometimes I feel like that smithy – caught up in the work of forging new alliances with people I will never meet, but whose lives touch mine profoundly. My alliances and networks are very different from the Baron’s. For one thing, I can’t commit the time and energy he can because I never know how I’ll feel. Nonetheless, there are things I happen upon which are areas I know I can handle. Over the weekend, several bloggers and readers have answered my requests that they pray for a young woman who underwent surgery today. Will she make it back to a whole life? No one knows, but her mother (a blogger, too) has drawn some comfort from the desire of others, of strangers from Oregon to California to Virginia, to hold her child in their hearts and to maintain that presence steadily in the hope that it will aid in her recovery. The Baron works on much more wide-ranging issues and in more consequential ways than I do – or could do, given my unreliable energy levels. His years as an artist taught him to observe closely (and as someone once said of his paintings, his art allowed others to really see). His ongoing work as a programmer and systems analyst were an ideal preparation for maintaining the networks of people which began to cluster around the hope of making changes at the margin. People began to reach out from their solitude to offer their experience. You know what his greatest virtue is? He doesn’t give a fig who gets the credit for any of that work as long as the work itself is accomplished. In fact, he’d prefer to be anonymous. Circumstances have changed, though; he’s accepted that it was time to move on to more public work. So my assistance is peripheral. I do get to write the thank-you notes, and it’s one of my favorite tasks. A few years ago, having only a secondary role would’ve bothered me. But now I’ve grown to accept the limits on my energy, and to take on whatever jobs I can do when my health permits. The work of Gates of Vienna is far deeper than either of us could ever have imagined when we started out. The people who have helped us along the way have been truly generous with their time, their money, and their talents. If it were just the Baron and me, this wouldn’t be of consequence. And in the larger scheme of things, we’re not crucial. But we don’t aim to be. We aim to make a difference at the margin. 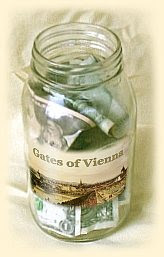 And in that, dear reader, Gates of Vienna is succeeding. It may not seem like it’s been so very long, but the last time we mounted a fundraiser there was about fifteen inches of snow and sleet on the ground. Our side yard was littered with large branches that the ice had broken off the trees. Tonight, however, is a steamy July evening. A wall of thunderstorms passed over us a while ago and cut off our satellite internet connection for a few minutes. Now it’s humid and still and the cicadas are chirruping. In other words, we’re well overdue to rifle the pockets of our loyal readers once again. I’ve been mostly unemployed for the last year and a half, but it doesn’t mean that I haven’t been working. It may be a Law of Cyberspace, but blogging has expanded to fill the time available for it. Most days I work twelve to sixteen hours, including weekends. A good example of living “by the sweat of my keyboard”. This is a taxing occupation, but well worth doing. The only problem is the hourly rate — that’s not so hot. I’ve eked things out with some paid work, including editing a book — which, thank goodness, also has a Counterjihad theme — but times are definitely lean. Due to my age, Dymphna’s medical difficulties, and the current state of the economy, my chances of finding work outside the home are all but nil. Therefore, one way or another, blogging-related income is currently my only hope of keeping body and soul together. The Greater Depression has hit most of us hard, so the fact that people have continued to be generous is both moving and gratifying for me and for Dymphna. I never planned to take up this line of work. When I was in my late twenties I quit work as a computer programmer and took up landscape painting, because that was what I really wanted to do. I managed to keep at it for twenty years, and then returned to computer programming when Dymphna’s illness forced her into early retirement. Back in my youth, when I imagined my twilight years I pictured myself as a writer. I always had a knack for writing, and I could see myself as a retired geezer, pecking away at a typewriter — who remembers typewriters? — producing material in an agreeable genre. Perhaps it would be science fiction, or mysteries, or humorous short stories. But it didn’t turn out that way. Oh, yes, the autumn of my life is consumed with writing prose all right, but not the sort of prose I envisioned in those days. The Counterjihad?? What the heck is that? And why would anyone in his right mind want to take it up as a line of work? As this job has evolved, it has grown to include much more than writing. Prose is the visible evidence of what I do, but it doesn’t take up the majority of my time. I claim very few real skills. The two most applicable to my work here are writing propaganda and networking with people. The latter is the more time-consuming, with most of every day spent in interpersonal communication. God loves His little jokes, and in His infinite merriment He set me up as a node in a transatlantic network, most of whose connections begin in Europe. Thus I spend the bulk of my time conferring with people I rarely see — once or twice a year at best. Yet this remoteness has honed my skill at establishing and maintaining personal relationships. I value the people I work with, though I can only communicate this fact via email and skype text, and occasionally by telephone. Those rare occasions when I get to sit down at a table full of boon companions and hoist a tankard of foaming brew are rendered all the more precious by the months of virtual conversation that preceded them. Every time I go to Europe I manage to put more faces to names, to finally meet all those people that I already “know” so well. Building networks is a slow, time-consuming process. It can’t be hurried. But the end result is worth it: we now have overlapping teams of volunteers whose distributed efforts can accomplish wonders. The Counterjihad is gathering momentum; people on both sides of the Atlantic say they can feel it. Real change is in the wind, thanks to the dedicated efforts of hundreds of selfless volunteers. Many of them are saints — there is no other word to describe their generosity with their time and labor. Last summer when I flew to Denmark for the meeting in Copenhagen, I announced to all it would be my last trip. I had run out of money and work, and there was no way I could make it back to Europe again. But life is full of surprises. People who wanted me there chipped in to bring me to Zurich. I’m grateful for that opportunity, because the new ideas and projects that came out of that meeting will be bearing fruit for months to come. I’m even poorer now, and have even less prospect of real work, but I refuse to make any more predictions. The Lord has been good to me, and I intend to keep doing this job as long as I can hold out. As a way to spend my senescence, it beats the hell out of playing bridge or riding around in a golf cart in Boca Raton. I appreciate the support that everyone has given us in the past. If you still approve of what we’re doing, and have a few nickels to spare, the tip cup is on our left sidebar.